It’s a feast for the senses! 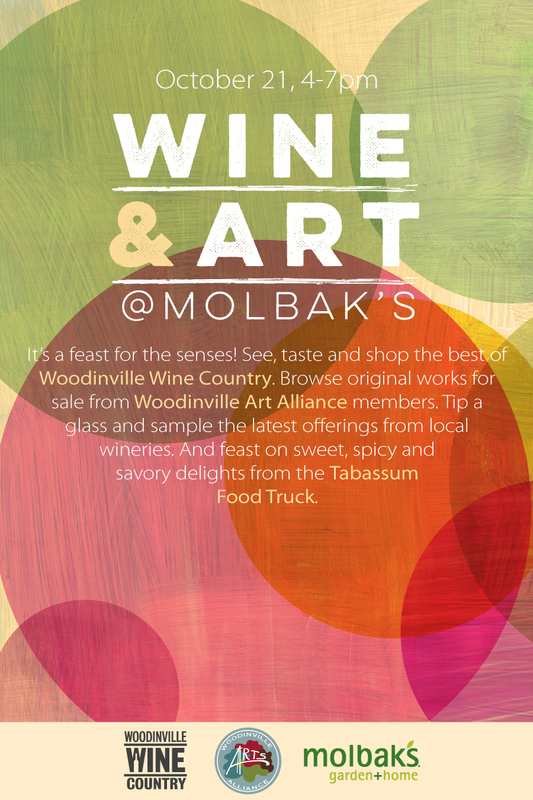 See, taste and shop the best of Woodinville Wine Country. Browse original works for sale from Woodinville Art Alliance members. Tip a glass and sample the latest offerings from local wineries. And feast on sweet, spicy and savory delights from the Tabassum Food Truck.